"What are you doing in my swamp?!" 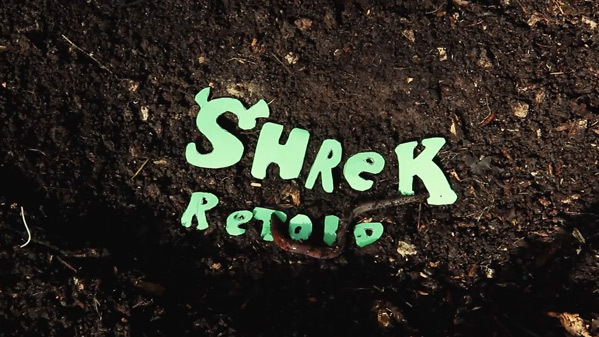 Comedy group 3GI has release an official trailer for their upcoming Shrek remake, titled Shrek Retold. This unofficial recreation of the original classic (right?) animated film from 2001 is a scene-for-scene re-telling of the same story. 3GI, self-proclaimed "professional Shrekheads" who also host the annual Shrekfest celebrated in Wisconsin, went out and recruited over 200+ animators and filmmakers to tackle each scene from the film. This trailer gives us a little taste of what to expect and it's totally weird and wacky and creative and fun and twisted. I don't even know what to make of all of this, there's so many different styles and ideas packed into this Shrek Retold trailer. You have to see for yourself. Short description: "We got over 200 people to remake Shrek. This is the trailer." This project is the creation of a Milwaukee, Wisconsin-based comedy/events group, who are self-described "professional Shrekheads", known as 3GI - follow them @the3GI or visit their very 90s official website. They also host the "Shrekfest" event in Madison, an annual "celebration of love and life" and Shrek fans. 3GI's Shrek Retold is a their latest creation, premiering on their website November 29th this fall. 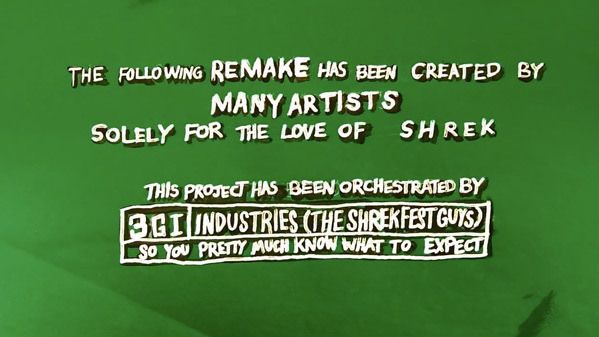 "Hundreds of artists have collaborated on their own scene-by-scene retelling of the first Shrek movie" - and you will be able see the whole thing soon. For more info on the project, visit 3GI's website. Follow them on Twitter @the3GI. Who wants to see this?